A What Have You Done? Fekkin mental darkside! 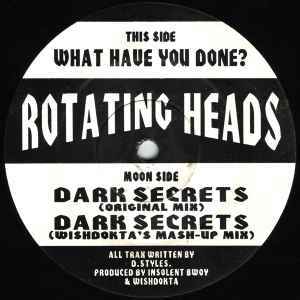 Wishdokta's Mash-Up Mix is the one on here! Hearing this for the first time......blown away......must purchase......top dark side business. Wot a chooneeee ezgroove mashed this late 93... I allways imagined this would've been massive at sterns...jungles tic bass...bass..